Warren Buffett is considered by many to be the greatest investor of all time. As the chairman of Berkshire Hathaway, Buffett has consistently outperformed the S&P 500 for decades, and in the process has become one of the world's richest men. (Forbes puts his net worth at $37 billion.) Despite his fortune, Buffett is known for living a modest lifestyle, by billionaire standards. His primary residence remains the gray stucco Nebraska home he purchased for $31,500 nearly 50 years ago, according to Forbes, and his folksy Midwestern manner and penchant for simple pleasures -- a cherry Coke, a good burger, and a good book are all near the top of the list -- have been well-documented. Validea used the investment strategy outlined in the book Buffettology written about Warren Buffett to create our Patient Investor portfolio. The Buffett-based "Patient Investor" strategy is the only one of our strategies that is not taken directly from the writings of the guru himself, as Buffett has yet to write about his investment strategies. 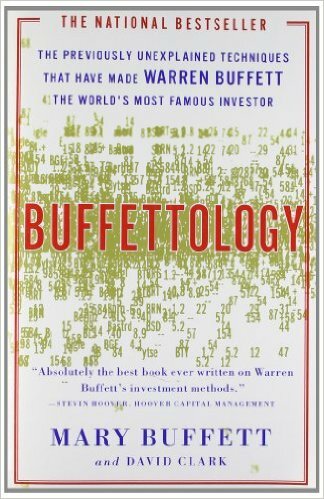 Our interpretation of Buffett's approach is based on the book Buffettology, written by Buffett's ex daughter-in-law Mary Buffett. The Buffett strategy buys stocks with an extremely long-term horizon. In fact, Buffett has held some of his investments for decades, and he's said that Berkshire's favorite holding period is "forever". Buffett doesn't try to capitalize on small day-to-day stock market movements; instead, he focuses on a company's business, because he knows that, over time, the stocks of firms with strong businesses and good long-term prospects are likely to rise considerably, regardless of what those stocks are doing today or tomorrow or next week. To find those strong businesses, this strategy goes back as far as a decade into a company's history, so only stocks with consistent long-term track records can pass this methodology.